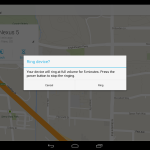 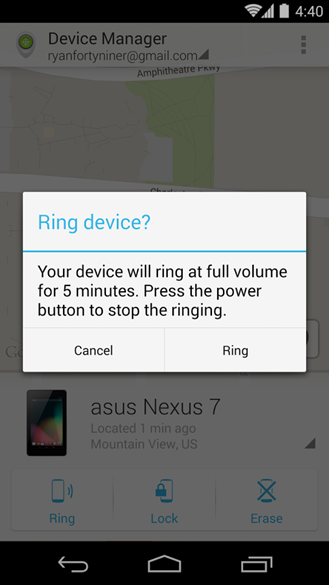 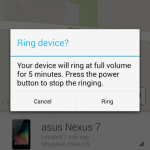 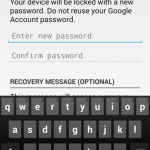 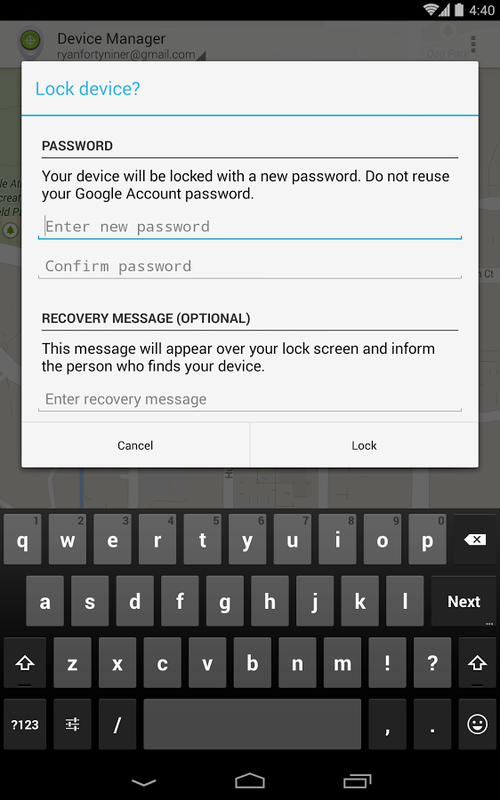 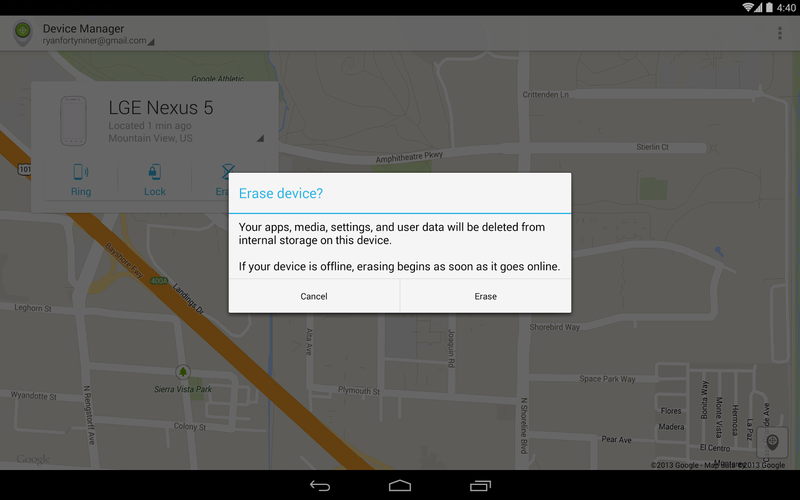 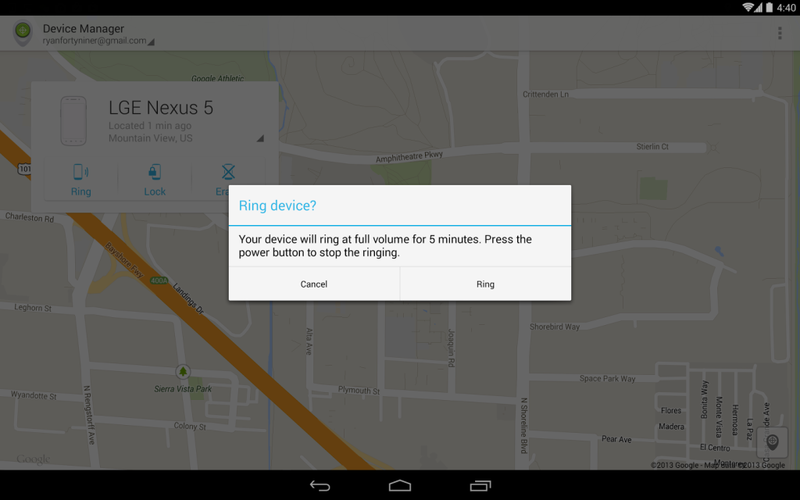 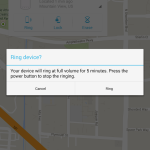 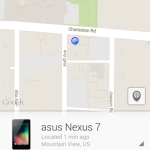 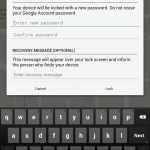 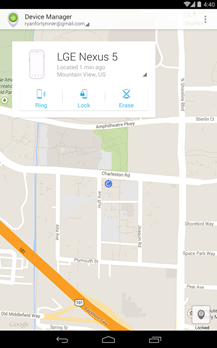 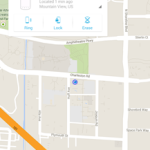 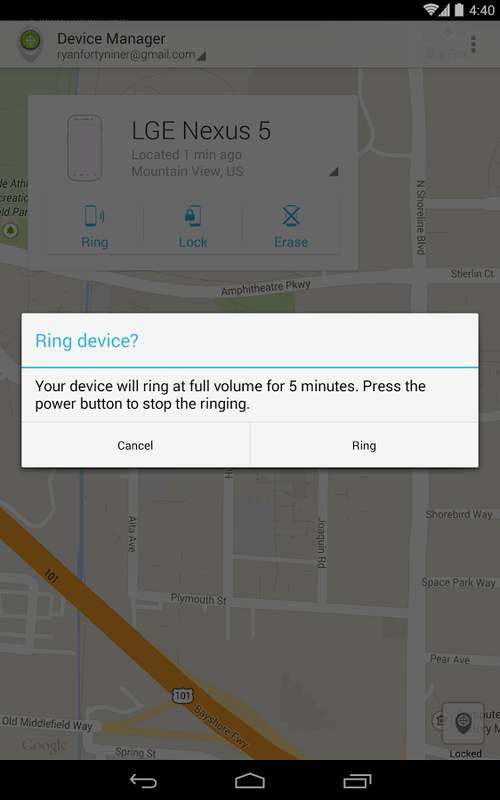 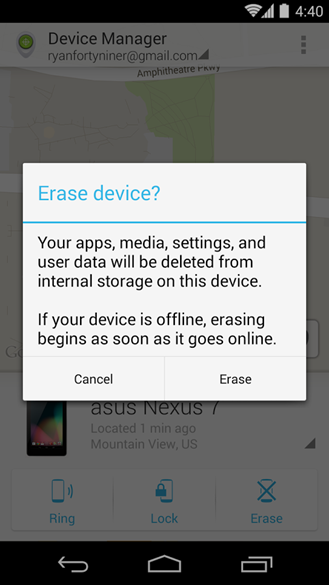 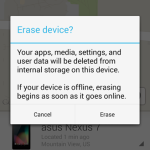 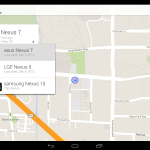 The Android Device Manager lets you track, lock, ring, and wipe any of the Android devices on your account. 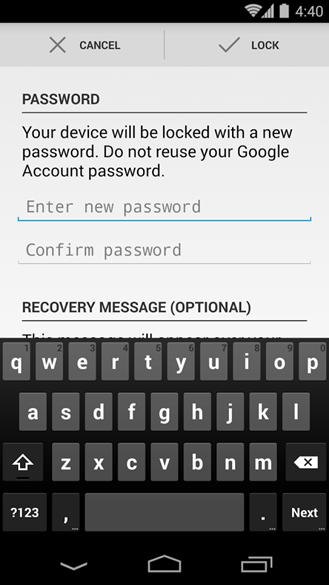 The web version works fine on Android devices through the browser, but a native app is still a preferable experience. 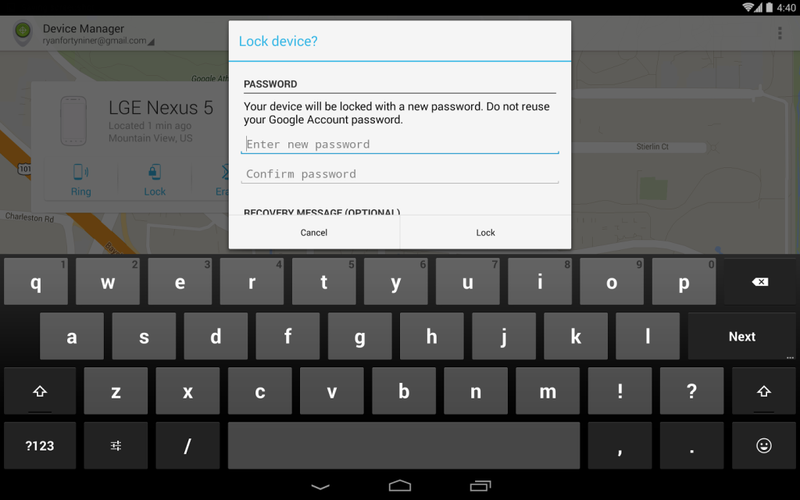 The UI scales to both tablets and phones, and there is a handy drop down menu for switching accounts. 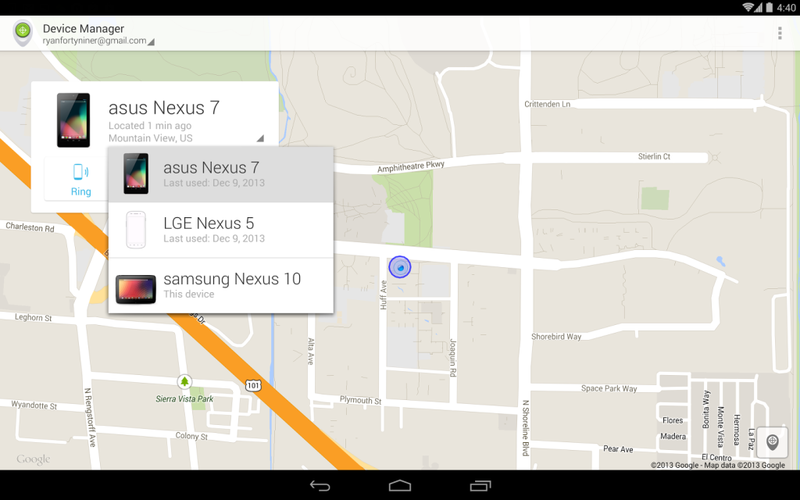 It’s also much faster than the mobile web. 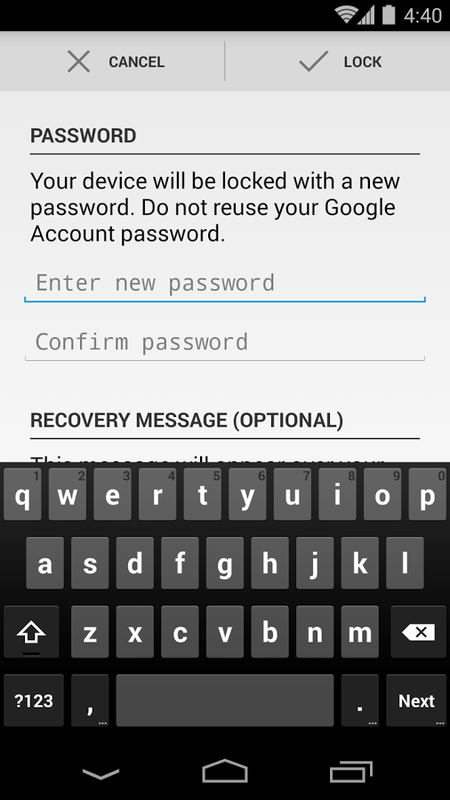 The Android app is obviously only of use if you have more than one Android device, like a phone and a tablet. 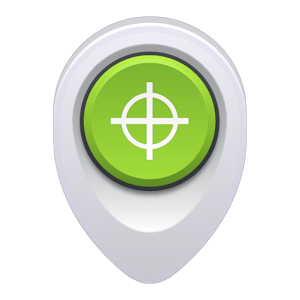 But if you ever misplace one of them, you’ll be happy to have the ADM app at the ready. 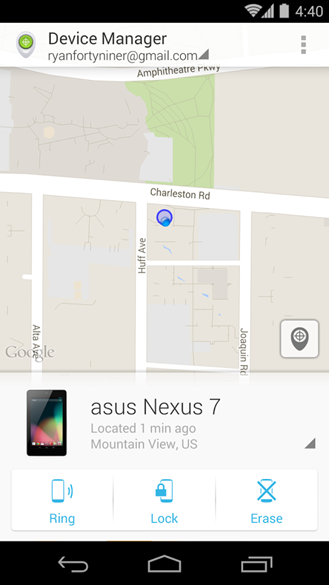 In yet another sign that Google has a sense of humor, if you locate the device you are running the app on, it says “in your hand.” Oh, Google.